Hello all you wonderful human beings! I’m so glad you’ve decided to join us for another exciting #fridayguestinterview! 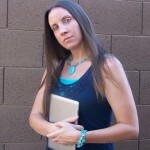 Today’s interview is with another talented author. Let’s not take a second longer to get this interview started, take it away Max! Hello Kara. I’ll start with an introduction. My name’s Max China. I’ve wanted to write a book since I was around seventeen years old, more years ago than I care to remember now. But in 2009, having shared that ambition with a friend, I made a start on my debut novel The Sister. It really is something that lives inside us for a while isn’t it? This desire to write a book. It’s a gutsy thing to put your ideas onto pages and let others read them. It’s like letting people read your own personal thoughts. That can be scary and intimidating. Perhaps that’s why it takes us a while, we need to work up the courage to put ourselves out there. But we’re glad you put yourself out there and published your book The Sister. Can you tell us a bit about it? I’ve said in other interviews that I wanted the telling of the story to be a little unconventional. The story is about many different things but love, loss and faith are central themes and I’d already decided if I could hold a reader for the first twenty-nine or thirty chapters, they’d go on to get something a little more meaningful from the book. The presentation, if you like, an echo of the journey through the story. I wanted to create a sense of disorientation, of losing your way before finally cranking the story around to build to a conclusion. The writing of the story was as much a leap of faith as the way I decided to tell it. I published some early chapters on sites like YouWriteOn and Authonomy, got some encouraging feedback and pushed on. I knew the chances of getting published through the conventional route were slim, almost non-existent and I’d heard of some good writers with good stories holding out hope ten years later still unsigned. Still unread. I didn’t want that for my book, so I bit the bullet, and self-published. To date, I have two full novels, The Sister and The Life and Times of William Boule and a short story, Don’t Turn on The Light available on Amazon. In all the interviews you’ve done, what’s a question you don’t get asked that you wish someone would ask you? And how would you answer? Now there’s a question…I’ll just smile. Haha ok, fair enough. It sounds like there is an intriguing story there but I’m no Barbara Walters so I won’t pry. 😉 We’ll just move along, these-aren’t-the-droids-you’re-looking-for style. What’s something that has surprised you about this industry? That it is possible to sell books and that Amazon actually helps that process by giving the initial visibility to get going. But even if you miss that, it’s still possible to hitch a ride on that train. Change you book’s pitch, maybe even the cover. Look at the page like a shop window. Eighteen months after release, The Sister is still selling, still getting good reviews. Well that’s heartening news! It’s always good to hear good news in this line of work. Now are you currently writing full-time or do you also have a “day job” to supplement your writing habit? One of the hard parts of being an author is that you usually have a full time job in addition to your time spent writing. It can be difficult to find time to do everything. How do you achieve that balance with basically two jobs and trying to have a life? If you have ambition and faith and can put life on hold for a while, whilst not desirable, it is achievable. How far you go with living a life of no life, is a personal choice. The hope is, I guess that something good will break. Yes, that certainly is the hope. But it’s so true, you have to have that ambition and drive to want to write. You have to make the time to do it and that means not doing something else. You have to ask yourself, ‘what’s more important’ and if writing is important to you then you’ll make the time to do it. Do you have any last piece of advice for authors hoping to get their own work published? Spend money on your book covers, work on the ‘pitch’, make it compelling, have the work professionally edited, but most of all, have a good story to tell. Great advice! Thank you for sharing. I love being able to pick the brains of others who have “been there, done that” there’s always so much to learn. Before I let you go, are you currently working on a new book? I’m working on several stories at the same time. If I get the ‘block’ on one, I move to another. The three new titles are: The Night of The Mosquito, an escaped psychiatric patient with a taste for blood set against a doomsday scenario following an apocalyptic event. Don’t Turn on The Light is an expansion, from the short story I released a year ago, into a novel about time travel and parallel worlds. Last not least, a new Miller story called The Man in Brown, follows Miller’s investigations into a haunted house and a seven hundred year old mystery curse that’s blighted a small village. Wow, three books at once! And I thought I was ambitious/crazy working on two at once. lol That’s so awesome though. Sometimes it’s helpful to have something else to work on when you get stuck in one place. Sometimes a change of scene is just what you need. That’s great that you have all that creativity going on! How about any upcoming events, do you have anything happening soon? Nothing concrete planned at the moment, but if any readers would like to follow my author page on Amazon for news of new releases, or register with notify@skinnybirdproductions.com they’ll be sure to receive an email when the next work is done. You beat me to my last question. haha So I guess that wraps this week’s interview up. Thank you so much for joining us Max! Thanks for giving me a platform. And a huge thank you to all you fabulous readers out there who joined us today. I hope you enjoyed it and gleaned as much useful information as I did! If you’d like to read any of the other interviews we’ve done, visit our Guest Interview page. I hope you have a fantastic weekend!